When you consider the statistics, you will begin to realize the severity of the U.S. Opioid Crisis. Did you know that, as of 2015, an estimated 2 million Americans suffered from a form of addiction to prescription opioids? Furthermore, between the years 2015 and 2016, almost 117,000 people living in the United States died from opioid-related overdoses. Overall, the situation becomes even more disturbing when you consider that, for the most part, a majority of the medications at the root of this problem are 100% legal. 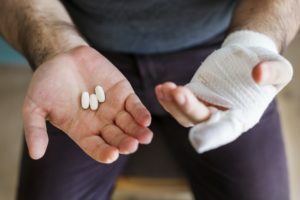 In fact, in 2016, retail pharmacies distributed a whopping 214 million opioid prescriptions, meaning that 66 out of 100 people received these potentially addictive painkillers. Needless to say, offering drugs like fentanyl and hydrocodone is not an immediate answer to pain management, despite the overwhelming overflow of these products into a patient’s medicine cabinets. As if this situation was not terrible enough, now shadowy operations have started to pop up in locations across the United States. Even more disturbing, they are using opioid addicts to their advantage in the most innocent way possible. Let’s take a closer look at opioids in general and see how Congress has recently made a motion to combat this new criminal movement head-on. Opioids are a group of psychoactive drugs that are derived from the resin of the opium poppy or created by scientists in a laboratory. Once consumed, these powerful substances latch onto opioid receptors located in the peripheral and central nervous systems and the gastrointestinal tract. While you might be familiar with the illegal varieties (like heroin), a majority of opioids (like Vicodin) are completely legal. Natural opiates: These substances, containing alkaloids and nitrogen, are derived from the opium poppy (and other plants). Some of the most famous (or infamous) natural opiates include codeine, morphine, and thebaine. Semi-synthetic opioids: Also labeled as “manmade opioids,” these substances are synthesized from natural opiates in a laboratory. Common types include hydromorphone, hydrocodone, oxycodone (also known as OxyContin), and heroin (an illegal, dangerous drug). Synthetic opioids: These drugs are 100% manmade. Common synthetic opioids include fentanyl, pethidine, methadone, and tramadol (among others). Typically, doctors will prescribe opioids like morphine and OxyContin to patients who are suffering from severe pain, and the drugs can provide relief. However, what makes these drugs particularly dangerous are their addictive qualities. In 2009, emergency room visits related to opioid problems accounted for 475,000 cases. Across the United States, these individuals will lure addicts into reputed drug rehabilitation centers or “sober living” buildings (usually illegal). Even more disturbing, these messages can appear on the Internet and (shockingly) on your television screens. Likewise, phone hotlines pretending to offer help to addicts will actually collect facilities (or referrals) and sell these items to whichever group places the highest bid. Overall, this series of scams fall under the category of “patient broking.” Rather than helping individuals suffering from addiction or drug abuse and offering them legitimate drug rehabilitation options, brokers will use victims as personal piggy banks to make easy cash. Given the fact that 2.1 million Americans suffer from a form of opioid addiction, this criminal market is virtually booming. Although kickbacks involving the issuing of Medicaid and Medicare have been completely illegal since 1972, this criminal network has managed to flourish due to the simple fact that it works with private insurance. Even worse, this activity has occurred under the Affordable Care Act. Now, thanks to two senators and our president, these kickback activities will be ending immediately. Recently, Senators Marco Rubio (R-Fla.) and Amy Klobuchar (D-Minn.) pressed a bipartisan measure that is part of a government package created to fight the Opioid Crisis head-on. Recently, Congress approved this new law, and President Donald Trump was set to sign the measure today, November 28. After our president approves the document, federal prosecutors will have the legal freedom to pursue these patient brokers and their financers. Ultimately, the conviction for taking part in this form of kickback activity will include a 10-year incarceration and a maximum fine of $200,000. With hope, false promises of fake treatment homes will disappear, and patients can find the drug rehabilitation and opioid withdrawal programs they deserve. At The Recover, we fully understand how difficult the treatment process can be for opioid addicts through our daily work to help these individuals overcome this terrible, painful disease. Although many people believe they can overcome their problems without help, rehabilitation programs are still an essential step on the road to recovery. Although the path to health and happiness might not be an easy one to take, you can finally enter the threshold to freedom with the help of a loving, supporting team. Additional aspects like counseling and psychological care can ensure you address underlying psychological issues that ultimately led you to become an addict. From here, you can build an infrastructure that will help you live your life with entering relapse, all with the help of a solid residential drug treatment program. An unbiased and substance abuse and mental health news provider, The Recover works hard to help victims of drug abuse or addiction discover the right residential drug treatment programs in their local areas. We also provide detailed information concerning West Virginia Centers for addiction recovery. For more information, contact us today at (888) 510-3898 to learn more about our comprehensive drug and alcohol addiction treatment program.